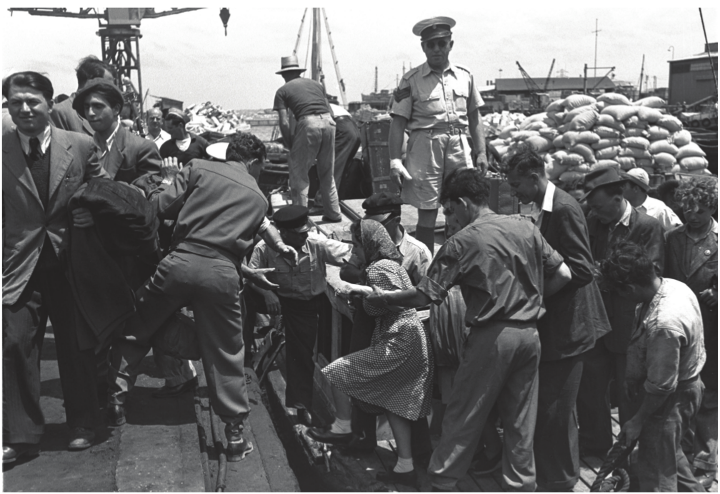 New immigrants from Europe arriving at Tel Aviv port, 1948. Photo by Frank Shershel. Courtesy of the Israel Government Press Office. "Today, to our shame, Anne Frank is a Syrian girl," wrote New York Times columnist Nicholas Kristof on August 25, 2016. This latest appropriation of the child diarist to denounce indifference in the face of suffering has stirred the expected controversy over whether the Holocaust can or should be compared with contemporary humanitarian disasters. But the Anne Frank invoked in this article was not merely the young Jewish girl trapped in Nazi-occupied Amsterdam between 1940 and 1944. She was also the child refugee from Germany whose fate was sealed earlier by the reluctance of the United States to open its gates to Jews like the Frank family who sought in vain American visas to escape Nazism. "History rhymes," contends Kristof: the nadir of Jewish refugee history in the late 1930s parallels—rhymes with—the desperate situation of Syrians and other migrants today. The image of the Jew-as-pariah became the epitome of "rightlessness" in the writings of Hannah Arendt, and the Jewish analogy is now commonly used in the media to illustrate the plight of other stateless refugees callously abandoned to their fate. Thus the Burmese Rohingya boat people adrift off the coast of Malaysia and Indonesia "are becoming the Jews of Asia," the hapless inhabitants of the Calais Jungle awaiting a passage to England are treated like "Jews in Nazi Germany," and in Israel human rights advocates urge the government to grant Eritrean refugees "the asylum that was denied to Jews in Europe." The popularity of the "new Jews" metaphor, however, masks a central dimension of Jewish history in the second half of the twentieth century. In the wake of the Holocaust, the exceptionality of Jewish "pariahdom" gave way to a normalization of Jewish international migration. To be sure, the Exodus affair of July and August 1947 put on full display the drama of "humanity at sea." Indeed, until the creation of the State of Israel, the approximately 200,000 Holocaust survivors in the displaced persons camps of occupied Germany endured a world closed off to large numbers of Jewish refugees. With its restrictive stipulations, the Displaced Persons Act passed in June 1948 by the United States Congress favored anticommunist Poles, Ukrainians, and former nationals of the Baltic states over Jewish immigrants. By 1950, however, most Jewish displaced persons had left for Israel, with others going to the United States (where the revised DP Act of 1950 lifted previous restrictions), Australia, Canada, and Latin America. 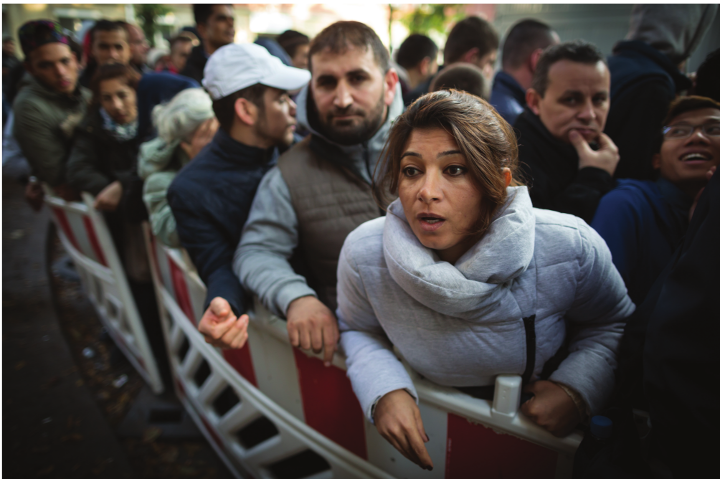 For American and European policy makers, the swift stabilization of the displaced persons crisis in postwar Germany through the resettlement of "freedom-loving" refugees across the world aimed to countenance the spread of communism. Enabled in part by the International Refugee Organization (the predecessor of UNHCR), the emigration of Holocaust survivors from central Europe to Israel was also part of a broader "redistribution" of displaced Europeans in the early Cold War period. "If we are saved we feel humiliated, and if we are helped we feel downgraded," wrote a gloomy Arendt in 1943, describing the travails of German Jewish exiles like herself. Yet despite the hardships of uprooting and new beginnings in Israel or the New World, this tragic vision of solitude and alienation was less applicable to post-1948 European Jewish migrants. The recognition of "persecution" as a key determinant in the definition of refugees in international law also contributed to a qualitative upgrade in the status of Jewish (but even more so, in non-Jewish) asylum seekers. The still-effective 1951 Geneva Convention on Refugees did not make any direct references to the Holocaust but stipulated that a "wellfounded fear of being persecuted for reasons of race, religion, nationality" constitutes grounds for protection and asylum. That Israeli legal scholars and diplomats were influential in the passing of the convention—as well as in the adoption of the 1954 Convention on Statelessness—was not innocuous. Although the birth of Israel created a massive Palestinian refugee problem, the new state rapidly became a model for the wide-scale absorption and integration of stateless "ingatherers." The experience of Jewish statelessness indeed loomed large behind the reevaluation of "citizenship" as a basic human right in postwar legal and political thought. If Arendt used the Jewish pariah negatively to emphasize the frailty of liberal citizenship and the "decline of the rights of man," others, such as Chief Justice Earl Warren in 1958, positively asserted that "citizenship is man's basic right, for it is nothing less than the right to have rights." Revealingly, it was the case brought in front of the Supreme Court by the Polish-born Jew Beys Afroyim in 1967 that led to the prohibition of forcible denaturalization in the United States, thus consecrating the advent of a "sovereign citizen" endowed with inviolable citizenship. Jewish refugees from North Africa and the Middle East were unaffected by these new guarantees. In Iraq between 1950 and 1952, the forced departure of nearly 130,000 Jews to Israel was accompanied by collective deprivation of citizenship in addition to material dispossession, a pattern repeated in 1956 in Egypt. The approximately 800,000 Jews who, under various degrees of coercion, left Arab or Muslim countries after 1948 symbolized indeed the persistence of Jewish vulnerability: the Mizrahi replaced the German Jew in this new episode of destitution. But the experiences of Jewish refugees from Arab lands were ultimately different. In several cases, such as Yemen, Iraq, or Morocco, the State of Israel entered in secret negotiations with Arab regimes to facilitate the safe departure of Jews. Their abrupt abandonment of ancestral places of residence was undoubtedly traumatic, as was life in transit camps such as Grand Arénas near Marseilles, where Israeli doctors, welfare workers, and immigration officials placed Moroccan Jews under strict humanitarian governance. Yet the Law of Return passed by the Knesset in 1950 ensured the automatic reintegration of all Jewish refugees into the realm of citizenship. In other host countries, such as France and England, denaturalized Jews from Egypt easily obtained citizenship in the favorable postwar context of open-door immigration. Persecuted or endangered Jews in Communist Eastern Europe faced different hurdles. In Romania, Nicolae Ceausescu allowed more than 100,000 Jews to emigrate in return for Israeli economic aid, merchandise, or cash. But fierce "anti- Zionist" campaigns in Poland forced small numbers of Jews to leave in the late 1950s and again in 1968. By then, however, East European Jews and Soviet refuseniks authorized to leave, as well as Iranian Jews who fled the new Islamic regime in 1979, transited in Vienna or Rome, where visas to Israel, the United States, or Western Europe awaited them. Potent symbols of human rights violations at the dawn of the 1970s, refuseniks elicited transnational advocacy campaigns unthinkable in 1938, when the Jewish exodus from Hitler's Reich reached its apex. In the United States, the Jackson- Vanik Amendment of 1974 put economic pressure on the Soviet Union in order to let Jews depart to Israel. As international human rights "exploded" in the West in the 1970s, so did expressions of solidarity with Jewish dissidents and emigrants from the Soviet Union. In the early 1990s, a century after their forefathers fled poverty and oppression in the Pale of Settlement to reach the goldene medinah, one million Jews from the former Soviet Union settled in Israel thanks to unprecedented American loan guarantees. Others directly immigrated (or re-emigrated from Israel) to the United States on special refugee visas issued under the Lautenberg Amendment of 1989. Despite the huge challenges presented by reunification, the Federal Republic of Germany similarly provided generous asylum to ex-Soviet Jews. Today, thousands of young Israelis flock to Berlin to fulfill artistic or entrepreneurial dreams or reclaim the German citizenship lost by their grandparents during the Holocaust era. In Berlin too, well-meaning (non-Jewish) academics teach classes in Jewish history intended for Syrian migrants as part of their integration in Germany, or perhaps to help them make sense of their own "Jewish" predicament. Yet this Jewish metanarrative of "refugeeness" is also one of hope. In the second half of the twentieth century, and even more so since 1989, Jewish migration has experienced a reversal of exceptionality: thanks to the safety net provided by the Jewish nationstate, American involvement and the official "philosemitism" of the European Union, the "specter of statelessness" has been kept at bay. The postwar rehabilitation of Jewish refugees in Israel, the United States, west European and other countries spelled the end of their previous undesirability. We can certainly bemoan the tragic similarities between "Syrian girls" and Anne Frank, but we should more urgently strive to alleviate the Syrian refugee crisis by replicating the successes of Jewish migration from 1948 to the present. 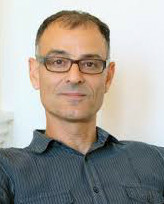 Gerard Daniel Cohen is Eurias Fellow at the Institute für die Wissenschaften vom Menschen, Vienna and Samuel W. and Goldye Marian Spain Associate Professor in Jewish Studies at Rice University. He is the author of In War's Wake: Europe's Displaced Persons in the Postwar Order (Oxford University Press, 2012) and numerous articles on Jewish refugees, human rights, and humanitarianism in the twentieth century. He is currently completing a book on the uses and misuses of "philosemitism" in Europe from 1945 to the present. Was the Jewish Diaspora in Antiquity a Migration or an Exile?